Whether you’re interested in charting new ground in service, production, design, engineering or development, sales, materials management or one of our commercial departments - you know best where your skills are most suitable. Our jobs are as diverse as the products KSB offers. Whichever you decide on, you can be sure of being trusted with tasks that will challenge you, and being provided with opportunities to hone your skills. Over time, your responsibilities will grow and your career prospects will broaden. So if you have sound specialist know-how and above-average dedication, people skills, cultural insight and a willingness to take on responsibility for both yourself and others, don’t hesitate to contact us. 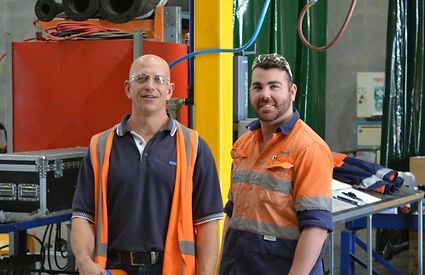 KSB Australia needs people like you because your skills will drive our company forward. We therefore invite you to consult our list of current job openings regularly.